Y’s, we have officially entered Summer… And you know what that means Buns, Beaches and Braids! Whether it’s the Braid you tie up for work, the Bun you use to have fun at night or your lazy Sundays at the Beach- the fact is that all 3 B’s leave us with those scary Summer Splits. I myself have had a treacherous case of the Splits and without having time to spare at a salon during the week, I was left to researching every nook and cranny to find a solution… and here is what I found! First and foremost, a Split End is not a strange offensive line positioning in football, no sir-eee Bob… We are talking the tip of our hair that has so viciously split; The problem is rooted, pun intended, in dryness or ill-treatment and has left the bottom of my hair an homage to the broom I should have thrown out two- years ago! 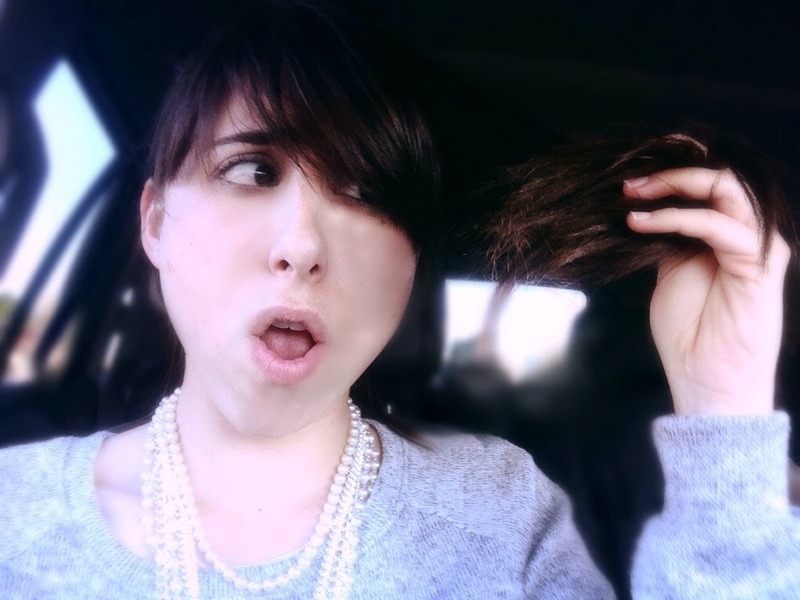 I admit I have split ends, frankly we all have them, but taking care of them is vital for promoting overall hair health. Take it from me–CARE 4 UR HAIR, if not when you go for a trim you could walk out with a bob! 1. Trim, TrIM, TRIM! Make the effort to trim ends every 3 to 4 months @ your salon, by at least 1/4 to 1 inch in length. This maintenance keeps your hair healthy and growing long and strong! 2. Natural Approach: Using hot oil treatments are considered most effective! Heat Olive Oil, Coconut Oil or Almond Oil at low to medium heat, allot it time to cool a bit, then massage the oil into your hair. Make sure you are applying the oil from the root of your hair, to the tip of your hair. Let the oil rest in your hair for 30 Minutes and proceed by washing your hair with mild shampoo… This process has shown good results to cure split ends! 3. Biotin: Adding a daily Biotin Supplement to your daily nutritional plan could be quite beneficial for your hair! Known as Vitamin H and a water soluble Vitamin B7… It can be found naturally in Swiss Chard, Raw Egg Yolk and Liver! Besides helping to maintain a healthy sugar level, increasing the production of cell growth this supplement is also recommended for strengthening hair and nails! 4. Harsh Chemicals: Avoid using harsh chemicals to treat your hair. Organic dyes free of parebens exist at specialty health and wellness stores like, Whole Foods! Just in case you were wondering, these dyes will also save you an average 75% on your annual Hair $ Tab. 5. Protect your hair b4 swimming, by: using leave-in conditioner or stay-in protection, a swim cap, or even rinsing your hair thoroughly before swimming to help it from absorbing less chemicals. P.S. Rinse & shampoo your hair ASAP after swimming!